Alleged spying at French car maker Renault targeted its business strategy for electric cars rather than technological secrets, its chief executive said in an interview published Sunday. "We have come to the conclusion that what got out was not technological information. It could be information on our economic model," the company's boss Carlos Ghosn was quoted as saying by French weekly Le Journal du Dimanche. "What was targeted was our strategy for the electric cars," he added in the interview, saying that Renault was the only company making all three key elements for the electric car -- batteries, motors and chargers. 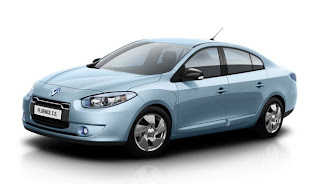 Renault and its Japanese partner Nissan have staked their future on electric vehicles and plan to launch several models by 2014 to meet rapidly rising demand for more environmentally friendly methods of transport. They have invested four billion euros in the programme. Ghosn was speaking out for the first time since the affair broke two weeks ago. Renault has sacked three top managers over alleged industrial espionage and has launched legal action. The three executives have said they are suing over the allegations. Ghosn said Renault had launched an internal probe in August but waited until this month to alert the authorities because "we had to do preliminary research ourselves to get an idea how serious the affair was." He said he was "surprised and shocked" by the affair but insisted that in investigating it "we have been irreproachable under the law." He declined to give a view of who might have benefited from the leaking of strategic information. Media reports and analysts have said Chinese companies are suspected but the Chinese government angrily denied this. "We are waiting for the results of the investigation (launched by the French secret services) which I am told should last several months," Ghosn told the newspaper.